We took our flagship gaming headset and gave it a dazzling new look – a high-contrast transformation into the Logitech® G933 Artemis Spectrum™ Snow 7.1 Wireless Gaming Headset. Snow’s striking, bold white design with dark metallic accents makes a statement that’s as clear as its critically-acclaimed sound. The Logitech® G933 Artemis Spectrum™ features patent-pending advanced Pro-G™ audio drivers, made with hybrid mesh materials, providing an amazing audio experience and includes 7.1 Dolby® surround sound and DTS Headphone:X for gamers on PC. Highly customizable to fit any gamer’s needs, our new Logitech® G933 Artemis Spectrum™ Snow features full RGB lighting and swappable backlit speaker plates, programmable G-keys, and an onboard software equalizer to customize audio settings and create personal sound profiles. The headsets work with PC, mobile, home theater devices, and game consoles, including PS4™ and Xbox One™, and also allow you to mix audio from multiple devices. 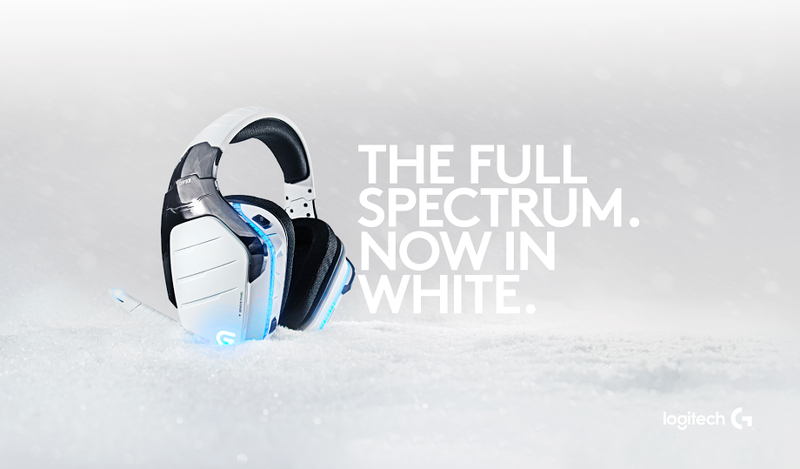 The Logitech® G933 Artemis Spectrum™ Snow is available for a suggested retail price of $199.99 exclusively at BestBuy.com and gaming.logitech.com. « Ever Wish the Smart Home Could Be Simple? Logitech Pop Is the Answer!